Beijing Taxi Guide and Offline Maps by HoodHot, Inc.
As featured on Gizmodo and on BBC World's Fast Track TV program, the Beijing Taxi Guide is filled with over 3000 big, bold-faced addresses in Chinese that show drivers exactly where you want to go. 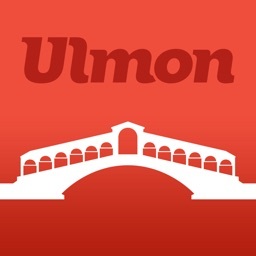 Now with fully cached Offline Maps that can be accessed anywhere! What do users say about the app? "Best Application in the Store!" "I do not know how I survived here without this." "...if I were coming here for the first time, I would buy an iPhone just so I could have this app in my pocket." 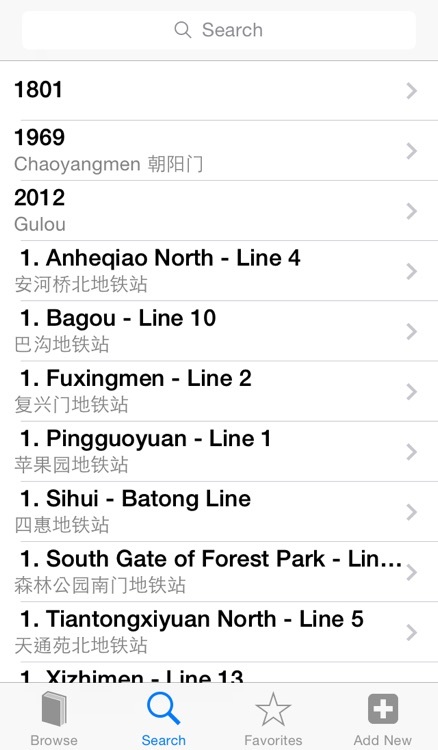 + Taxi Cards: Just hold up your iPhone - the big, bold addresses in Chinese tell the driver exactly where you want to go. No more charades and no more getting lost! + Local Suggestions: We added local suggestions from some of our coolest friends (DJ Wordy, China's 3-Time DMC Champion, local students, bar owners, and expats) - its easy to browse their knowledge with the Taxi Guide. 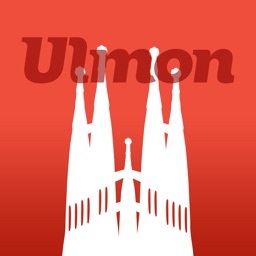 + Offline Maps: Ever find yourself wishing for a map but didn't have or want to pay for a data connection? 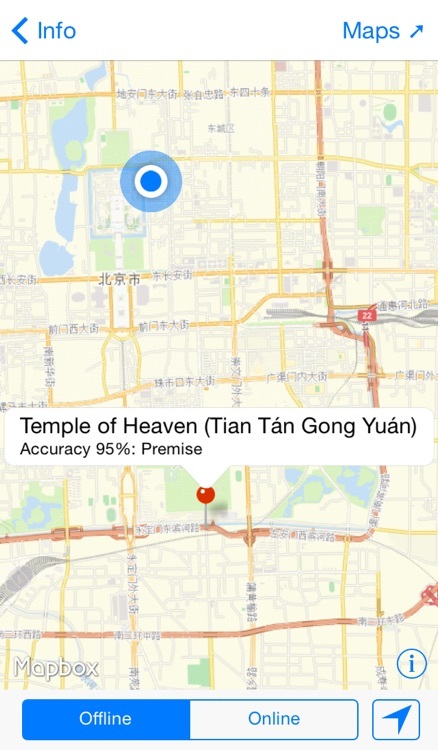 Your wish has been granted - Shanghai Taxi Guide now has fully cached, zoomable, scrollable Offline Maps! And if you have a device with a GPS chip (iPhone or iPad with 3G radio) it will display your current location as well. 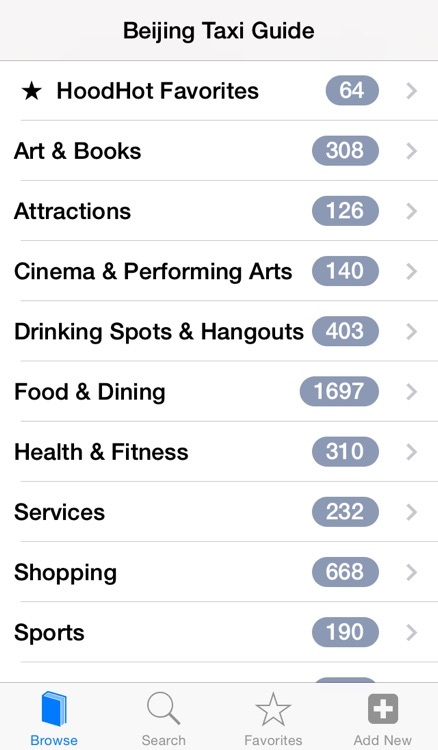 + Search: Want to find a specific place? Search for it in English or Chinese! With over 3000 locations and hundreds of hotels, it's probably in here! If not, let us know, and we'll include it in the next release. + Distance Sorting: Sort the locations by distance to quickly find things around you. + CardShare. 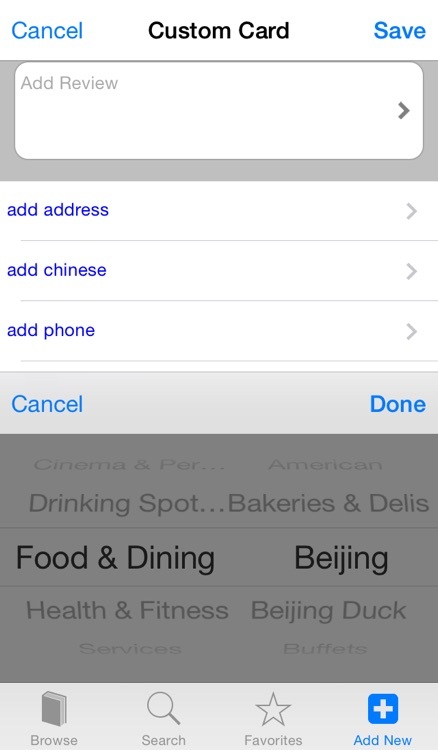 Friends envious of your iPhone and that you have the Beijing Taxi Guide? 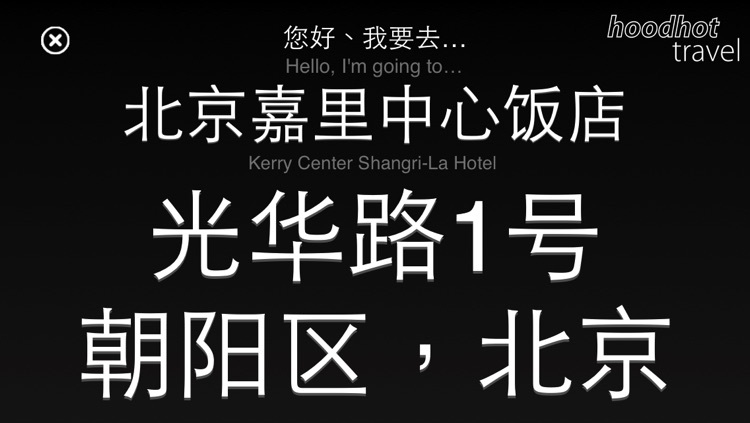 At least you can share the Chinese address with them via Email, SMS, or just by copying and pasting it into your program of choice. + Custom Cards. Ask your local friends to input your private addresses and have every card you need with you at all times! + Notes. Trying to remember why you love that hutong shop on the corner? Make a note of it and you'll never forget. And don’t worry; it doesn’t need an internet connection, so you won’t get dinged with roaming fees. (*Please note that using Apple maps and internet browsing of reviews require an internet connection and will use data). 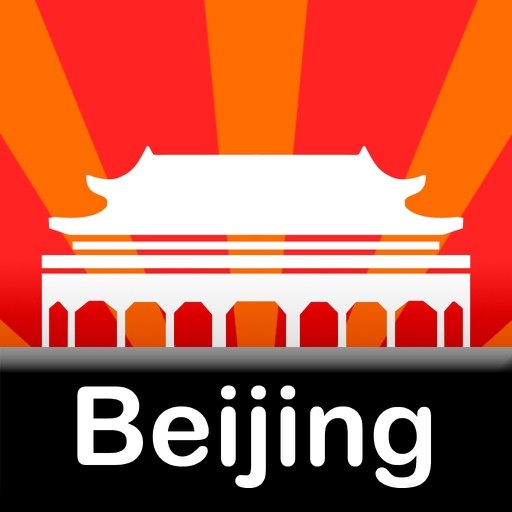 We'll be providing constant updates, since the app is offline and Beijing changes so quickly, so stay tuned, add your hotel to the favorites, and enjoy Beijing! HoodHot Travel: The hottest venues in neighborhoods around the world. For comments/corrections, please contact [email protected] with detailed venue information and we will update the database in the next release.